We often think about how we can be a good witness to people on a mission trip. We are planning to serve and witness. It is the stated purpose of the trip. We less often think about how we will be witnessed to. There are powerful opportunities to learn and grow from our brothers and sisters in Christ around the world. Some of the most impactful God moments during my mission experiences have been witnessing the work of other faithful Christians. I am reminded of meeting Pastor Liezbeth in Cochabamba, Bolivia. Despite her own severe health problems, Liezbeth serves several poor communities by running a ministry which reaches out to children with severe physical and mental disabilities and their families. The ministry provides physical therapy and tutoring as well as medical, nutritional and dental care. It also holds church services and Bible studies for the community. Pastor Liezbeth talked about how money is always scarce and how she or other volunteers often must use their own money to cover the cost of food and water for the children. She knew that several children in the area had recently been abandoned by their parents, and she brought me along to bring blankets to their elderly grandmother. I didn’t witness to Pastor Liezbeth. She powerfully witnessed to me though. She models the sacrificial love of Christ to her community in a way which humbles and inspires me. So often, the initial intent of any mission experience is to fulfill that Great Commission to “make disciples of all nations.” It’s with this mentality that we travel to far-and-distant lands, with cultures dissimilar from our own, and seek to bring the Good News in ways that will forever impact a community. But as Sarah (above) pointed out, these expected outcomes are often far from the reality. 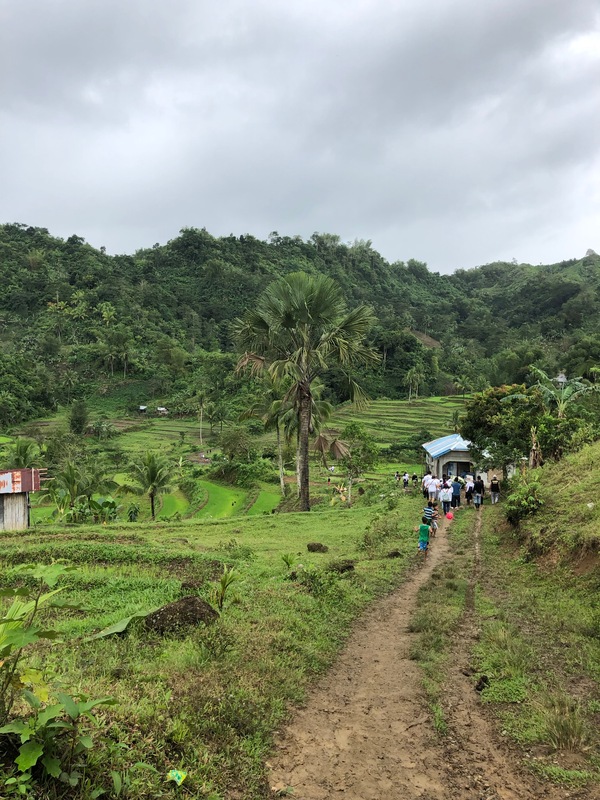 That’s because despite the number of houses painted, songs sung, trenches dug, and Bible lessons taught, it is almost always the case that we the visitor receive far more from such experiences than we are able to give. The next time you’re on a mission trip, take the time to consider all that is involved of your host: meals prepped and cooked, transportation organized, entire days planned from start to finish. Indeed, the time, energy, and resources that are devoted to hosting a group of visiting foreigners can be staggering! How shocking it can be for some that in doing missions, we often reap more fruit than we bear. With this in mind, how can mission trips fulfill the goals which they seek? How do we bring with us the help and benefits that we so desire to give? I believe that the answer rests in relationship. This is the gift that Jesus so freely gave to those under his stewardship, and it is the seminal gift that we Christians give to each other: “For where two or three are gathered in my name, there I am with them.” This is no simple task; rather, it is an assiduous process that must be deliberately undertaken. It requires humbling oneself to the point of servitude, all the while elevating the other. In this way, we bear witness to our quintessential mentor—Jesus Christ—who acted so similarly. As Günter Krallman so eloquently described it—we bear witness through “with-ness.” By entering into life-sharing companionship with others, we give that which the world cannot offer; we give the love of God. In this way, real mission work is done.